The team at Byrd Eye Clinic cares about patient wellness, which is why we always focus on the the safest and most advanced treatments and how they can fulfill a patient's needs. This emphasis on the people of Detroit and how to enhance their lives has always been important to us, which is what makes us such a proud member of this city and community. Cataract surgery is a common and safe eye care procedure, though we find that many patients have misconceptions about what it involves. Let's take a moment to consider cataract removal and how the use of intraocular lenses (IOLs) can enhance and restore vision after the surgery is performed. Cataracts occur when certain proteins within the eye form into abnormal clumps, resulting in clouding of the naturally clear lens. As a result of cataracts, normal vision can be impaired, sometimes significantly. Cataracts are a common part of the natural aging process, first appearing in the 40s and 50s in many people, though starting to impact vision around age 60. Cataracts are often the result of long-term exposure to ultraviolet radiation, particularly from the sun, though they can also be caused by eye injuries, the use of certain medications, and long-term diabetes. Smoking and the use of certain medications can increase cataract risk. Surgical removal of cataracts is recommended when the clouded lenses of the eye have a significant impact on a person's vision. This usually means major cloudiness or blurriness of vision as well as distortion of the field of vision. An eye doctor can make this assessment during an exam. Patients are first given anesthetic eye drops to eliminate pain and discomfort during the procedure. During cataract removal surgery, a small incision is made in order to extract the clouded lens of the eye. Eye surgeons work conservatively whenever possible, removing only the clouded lens of the eye and keeping the lens capsule intact. In some cases, both the clouded lens and the lens capsule will need to be removed, but this practice is now quite rare. 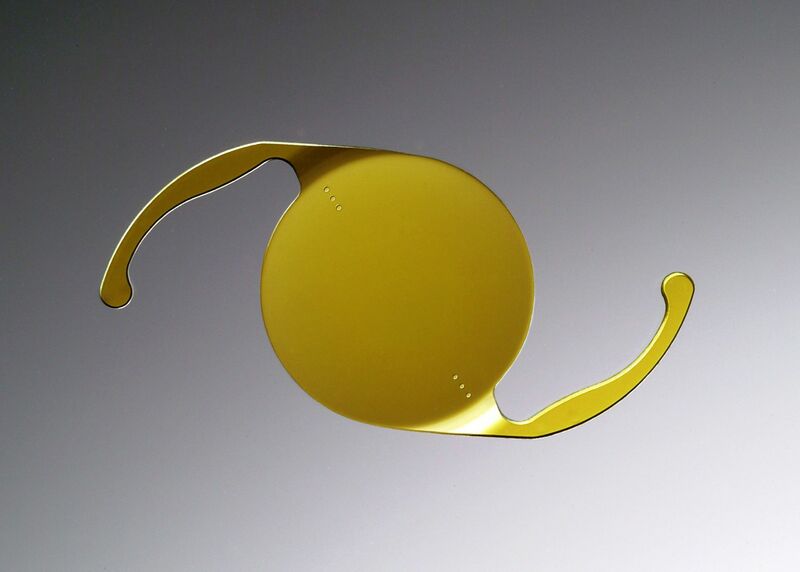 Intraocular lenses, or IOLs, are artificial lenses that are used to replace the natural lens of the eye. Thanks to IOLs, patients are able to experience restored vision after they have undergone cataract removal or other eye care procedures that involve the extraction of the natural lens of the eye. Intraocular lenses (IOLs) are able to provide patients with excellent vision following cataract surgery with low risks and great results. There are different kinds of IOLs available to meet the needs of patients. In some cases IOLs can be placed that eliminate the need for glasses after cataract surgery. The ideal IOL for your procedure can be discussed during the consultation process. Intraocular lenses (IOLs) are typically placed using the same incision through which the cataract was removed. Following the extraction of the clouded lens, the IOL ca be inserted, unfolded, and carefully positioned in the lens capsule. The incision is then closed for the patient to heal. Recovery from cataract surgery is generally easy, with mild discomfort and eye irritation for a few days. During this time, patients will be asked to avoid direct sunlight and bright lights, and to wear sunglasses and a hat with a brim when outdoors to protect their eyes. This helps promote healing and prevent serious light sensitivity issues. Follow-up visits with your eye surgeon are scheduled to monitor recovery and to ensure optimal results. To learn more about the removal of cataracts and how we can help you have excellent vision, be sure to contact our team of eye care specialists today. The team at Byrd Eye Clinic is here to help you see clearly.